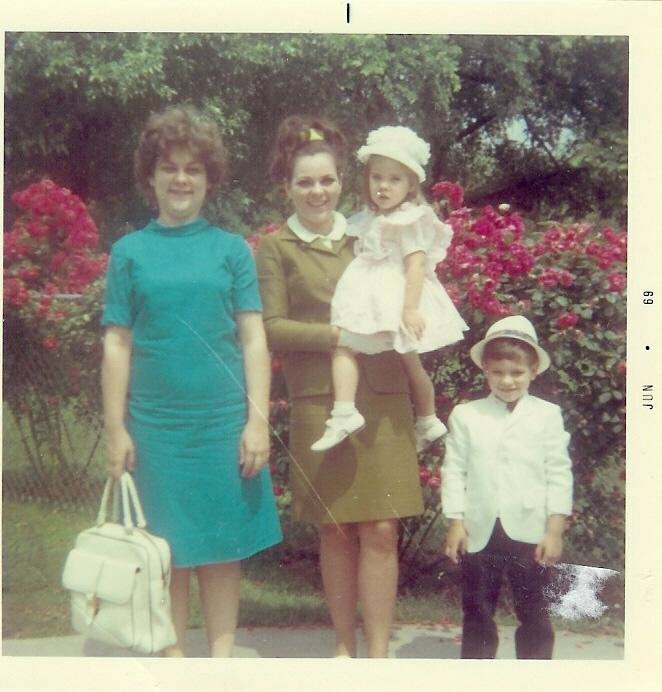 Here is a picture of my Aunt Patsy, my mom, my sister, Pam, and me, all dressed up for Easter Sunday, 1969. Talk about a sharp looking group of folks! This was taken in the driveway of my grandmother's house in Sapulpa, Oklahoma. The rose bushes were incredible!